Dr. James Pappas graduated from the Loma Linda University School of Medicine, where he also completed his residency program. He is specialized in Pathology and board certified in Internal Medicine and in Anatomic & Clinical Pathology. 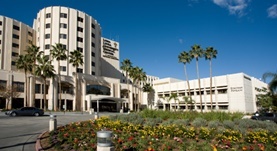 Dr. Pappas has been in practice for more than 20 years and is affiliated with the Loma Linda University Medical Center. During his career, he has also contributed to eight publications of medical interest. Dr. James Pappas has contributed to 3 publications. Characterizing novice-expert differences in macrocognition: an exploratory study of cognitive work in the emergency department. Schubert, C. C.,Denmark, T. K.,Crandall, B.,Grome, A.,Pappas, J.; Ann Emerg Med. 2013 Jan.
Pappas, J.M., Flaherty, K.E., Wooldridge, B.; Health Care Manage Rev. 2004-01-01. Pappas, J.M., Flaherty, K.E., Wooldridge, B.; Hosp Top. 2003.